Genetically modified Atlantic salmon, which could soon become the first transgenic animal sold as food in the U.S., can breed with wild brown trout to produce a GM hybrid. Atlantic slamon (Salmo salar)WIKIMEDIA, TIMOTHY KNEPP, U.S. FISH AND WILDLIFE SERVICETransgenic Atlantic salmon, genetically modified to grow larger and faster than wild-type fish, are capable of hybridizing with wild brown trout, creating offspring that carry modified growth genes and outcompete both wild and GM fish, according to new research conducted by Canadian scientists. 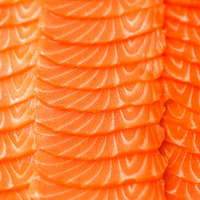 The modified salmon is poised to become the first GM animal approved for human consumption in the United States, with the US Food and Drug Administration approaching a decision on the product. 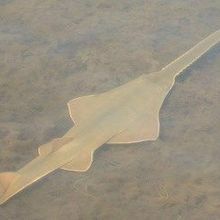 “We suggest that interspecific hybridization be explicitly considered when assessing the environmental consequences should transgenic animals escape to nature,” wrote the authors of a paper announcing the results in the current issue of Proceedings of the Royal Society B.
AquaBounty, the biotech company that makes the GM salmon (dubbed AquAdvantage), countered that their product consists of female, sterile fish that would be reared in aquaculture facilities on land, making any such risks negligible. 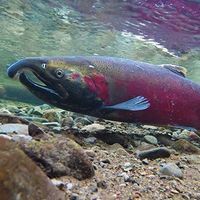 “Overall, the study seems to present no new evidence for any added environmental risk associated with the AquAdvantage salmon,” AquaBounty CEO Ron Stotish told BBC News. 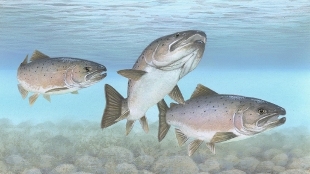 Testing whether the propensity for wild Atlantic salmon to hybridize with wild brown trout—both members of the genus Salmo—researchers from the Memorial University of Newfoundland, Canada, mated GM fish to brown trout in the lab, finding that about 40 percent of the hybrid offspring carried the transgene for a growth hormone engineered into AquAdvantage salmon. The GM hybrids not only outgrew wild salmon, wild trout, wild-type hybrids, and the GM salmon in tanks, they also outcompeted wild salmon and GM salmon in simulated stream environments in the lab, further stunting the growth of the other fish. 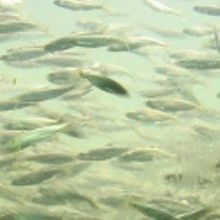 “This was likely a result of competition for limited food resources,” coauthor Darek Moreau of the Memorial University told BBC News.